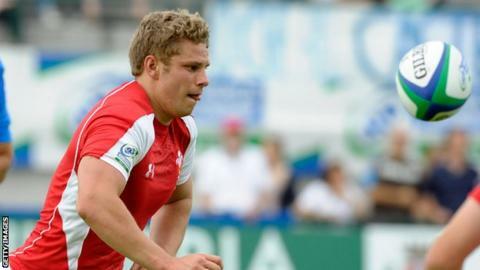 London Wasps director of rugby Dai Young has signed his son Thomas from Premiership rivals Gloucester. The 21-year-old openside flanker is a Wales youth international who made three replacement appearances for Gloucester this season. Second or back row Buster Lawrence, 22, has arrived from Championship Moseley, while Leeds fly-half Alex Lozowski, 20, has also joined. Academy second row Will Rowlands, 22, has signed a professional contract. Lozowski, the son of former Wasps and England centre Rob, played 20 Championship games this season and scored 148 points. Wasps boss Young said: "I am hugely excited by the prospects of all four of these players and I am looking forward to overseeing their development over the next few years."